Robert Davis, general manager of the authority, issued a memo on his "initial thoughts" to the independent review of its operations by the Seattle-based firm HMS Consulting. 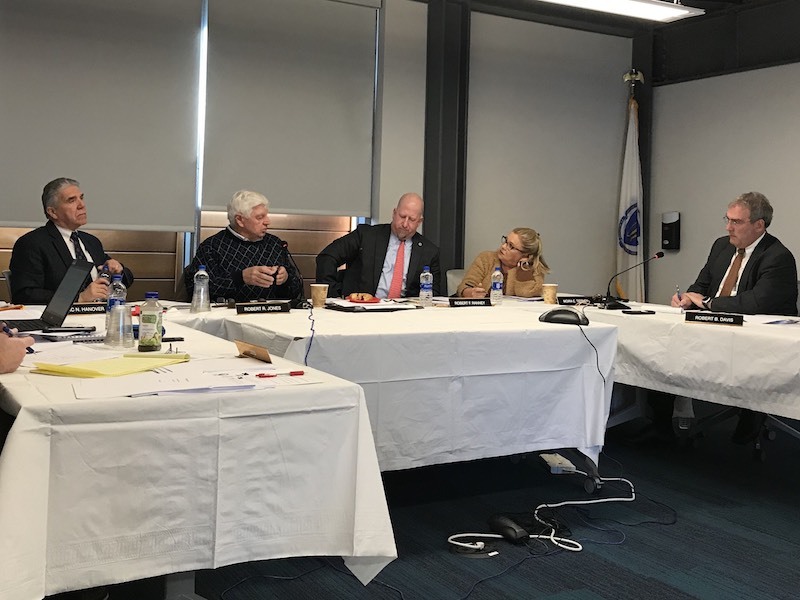 A key recommendation from outside marine consultants that the Steamship Authority add a chief operating officer appears to be stalled after a reduced board of governors met Tuesday afternoon. General manager Bob Davis told the four-member board (currently absent a sitting Falmouth governor) he supports the recommendations from HMS Consulting that the SSA create new positions for a director of marine operations and a health, safety, quality and environmental (HSQE) officer. But out of three proposed organizational charts Mr. Davis provided the board as alternatives to the current management structure, none includes a chief operating officer as urged by HMS. “I question whether it is also necessary to create a chief operating officer position,” Mr. Davis wrote in a memorandum to the board partly titled “Initial Thoughts” and dated Jan. 15 but not released to the public until Tuesday. It was not clear at the meeting whether the governors had read the memorandum. “As it is now, various staff members all have access to me one on one, so to add something in between there may be seen as perhaps an unnecessary step,” Mr. Davis told the board at the round table meeting held in the boat line’s Palmer avenue offices. HMS consultants have proposed a management structure that would put a COO in charge of engineering, marine operations and shore operations, while the treasurer and directors of human resources, information technology and communications would continue reporting directly to the general manager. At present, the positions of treasurer and HR, as well as port captain, are vacant. Vineyard governor Marc Hanover urged Mr. Davis to move swiftly to engage a “top notch consultant” to fill the positions. “You can only last so long doing 12 jobs,” Mr. Hanover said. Mr. Davis told the board he is actively conducting outside searches for candidates to fill the treasurer, HR director and port captain jobs, which are already budgeted for 2019. In the short-term, he said he would assume the duties of treasurer. He also said it could take as long as two years to carry out the recommendations in the HMS report. In its report, issued in December, HMS said that upper management at the boat line was seriously understaffed. “SSA is over reliant on a small number of individuals who hold inordinate amounts of knowledge and power, resulting in an executive team that is stuck in a perpetual mode of day-to-day firefighting,” the report said. On Tuesday Mr. Davis countered another HMS recommendation, that the boat line engage an outside consultant to help develop a strategic plan and a mission statement, suggesting instead that he hire a staff planner who would both develop and manage the process. 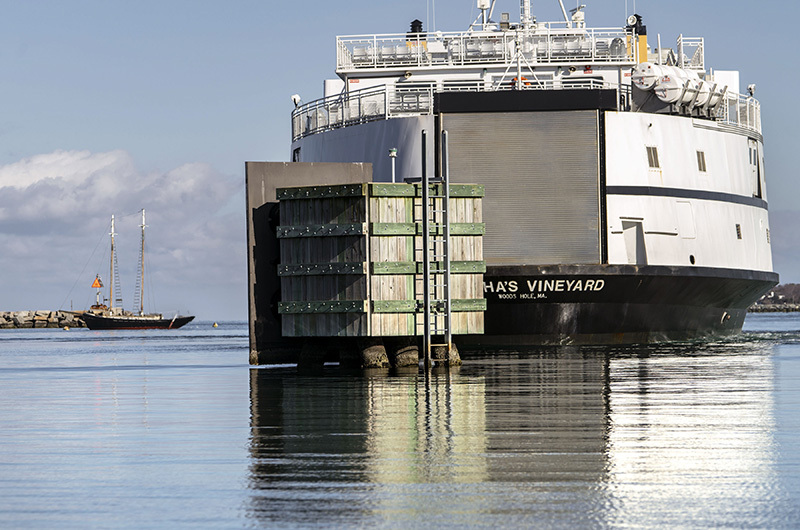 To hire a planner, director of marine operations, HSQE director and any other new positions — including a COO, if the board decides to press Mr. Davis on the issue — the boat line will have to dig into passengers’ pockets. New Bedford governor Maura Tierney urged transparency as the SSA begins to act on the consultants’ recommendations. She also recommended a budget-saving move: Take the money earmarked for the port captain and use it to hire a director of marine operations, as recommended by HMS. The director of marine operations would then weigh in on the choice of port captain. The remaining board members agreed with Ms. Tierney’s suggestion. was taken on the other suggestions from Mr. Davis. The roundtable discussion followed the regular monthly meeting Tuesday morning, in which board members learned that there is still no target date for the consultants’ review of boat line communications, one of five areas the consultants were asked to review when they were hired under public pressure this summer do an assessment of the SSA. A videoconference with the HMS subcontractor conducting this element of the review is still pending, and the final recommendations are likely to “slide into next month,” according to retired general counsel Steven M. Sayers who remains on contract as the SSA works through both the HMS report and the boat line’s $60 million Woods Hole terminal redesign. Only four governors were on hand for Tuesday’s morning business meeting and afternoon discussion. Falmouth governor Elizabeth Gladfelter, whose term expired in December, has not been reappointed by Falmouth selectmen. While board rules allow her to remain until another governor is appointed, she said she was not willing to serve without an appointment and resigned. In an email to the Gazette, Ms. Gladfelter said she has applied again for the position. The town website lists the position as open, although Ms. Gladfelter still appeared on the SSA website Thursday. “She was a very valuable member of the board and very supportive of the community she represented,” Mr. Jones said Tuesday morning. Falmouth town manager Julian Suso told the Gazette Thursday that selectmen are receiving applications from interested residents through the end of this month and will move forward with interviews and an appointment in February. SSA governors next meet on Feb. 19 in Falmouth. Backpedaling so soon.Appropriate the storm is over,or is it??? Why no creation of a new Chief Operating Officer position? The HMS Consulting external report strongly recommended the creation of a Chief Operating Officer position. The external report found "... there is a lack of maritime operating experience at the executive/director level and the organization’s prime function’s (vessel operations) interests and priorities are not properly represented in the decision-making process.... This organization places considerable burden on the Operations Manager while simultaneously marginalizing vessel operations’ decision-making participation. Adding a Chief Operating Officer and a Director of Marine Operations will be necessary to both realign departments and ensure that the primary function of the SSA is properly and cohesively represented in decision-making." So now the SSA blithely ignores one of the external report's strongest recommendations? Ha love it. Also they should fire a few deck hands which we have way to many of to off set any new hires. Remember for every person working in a public job we are paying 1-3 people in retirement so these new hires are very expensive and the cost is for ever. I am sure they will not illuminate any positions but they should. Ok. A couple of observations. Why is Davis still General Manager. He's part owner of the culture that got the SSA in this mess. He has NO operating experience and came up the ranks in the back office as head bookkeeper. Really? Fire him and use his salary to hire a real GM. A GM who has boatline, operating experience, not bookkeeping experience. Davis is covering his own own deficiencies by not supporting the hiring of a COO -- someone who will likely replace him. It's a ferry business -- its CEO should have ship experience. Next observation - Why is "retired" Sayers getting paid to manage the outside consultants? Lawyers sure know how to bill. Ridiculous waste of money. Why is Davis doing that? Again, is it reflective of more of his deficiencies and lack of management skills? Lastly, any real board would have made changes by now. Nope, not this board. What has to happen to shake things up? Confident that the SSA will do the right thing. Preventative planning simply needs to be budgeted into the equation over a longer term plan. Hey here's an idea. Instead of rate increases, maybe the CEO and those in charge that have created this mess take a pay cut. Oh god forbid that happens. Fare hikes? So Islanders will continue to pay for mismanagement? What is the benefit of the ssa remaining a quasi governmental organization... would we have more rights if it wasn't? Would we have greater transparency? This begs the question should the governing structure be revisited. I'd like to see the property vs. cons; as it might be time to seek alternatives. Agree 100%... time for a reevaluation and possible wholesale change to the structure. Very good, Jim. Your comment had to be read carefully and more than once. Yossarian understood bureaucracies. It is quite disturbing that Davis just blithely ignores the main action points strongly recommended by the management consultants. I agree that it might be time for Davis to go, and someone with marine managment experience---ANY management experience! !--be hired. It sounds like Davis doesn't want to have someone with superior knowledge and experience in his management team. As for saving money: Yes, start with a cut in management salaries---call it a negative bonus--- and then scrap the new terminal. The "temporary" one seems eminently adequate (as was the old one). The SSA must change the mindset that it can just rub the magic lamp and have the genie inside (the fare-paying public) grant its every wish. Yet it also wants the genie to grant its wish to ignore the solid advice paid for from the public purse. Who do these people think they are? A law unto themselves. That must be changed. Legislators, please revisit the SSA governing structure, and better sooner than later. The Steamship is stuck in a 1960s governing model with little transparency and no accountability. Legislators, please step up. Given the way the SSA operates [two new boats that have significant structural design problems not to mention the fiascos about this time last year] including the obnoxious attitudes of ticket agents [one of the first things to do is replace them with kiosks-talk about over staffing], to me the consultant’s report confirms what was already obvious to many people; a complete house cleaning and managerial restructuring is needed. Seems to me the SSA operations aren’t much better than the airport’s. Clearly one take away from recent airport management changes is that change is needed the public at large would be well served by ‘outside talent’. I feel for Mr. Davis but he needs to move along. There are all sorts of positions for a talented bookkeeper. There are so many issues that need to be addressed. The Island has called repeatedly for a limit to automobiles [and growth generally] but it seems to fall on deaf ears. If the Island is to remain even a semblance of what it is much less what it was, the time is ripe for disruption, the airport, the SSA, Stop and Shop, for starters. I suspect the multiplicity of the issues and depth of the problems speaks clearly to the lack of foresight and competency of Island leadership generally, or lack thereof. Perhaps this will change as more talented people from the real world vote on the Island and spend greater amounts on the Island. One of the best comments to date. Thanks.